Everything that's old is new again. With Privateer Press having successfully relaunched their Monsterpocalypse game, they are looking to other titles that may have fallen away that they can bring into this Year of New Editions. In this case, it's part of their Level 7 family, specifically Omega Protocol. The game will be coming to Kickstarter in just a week. 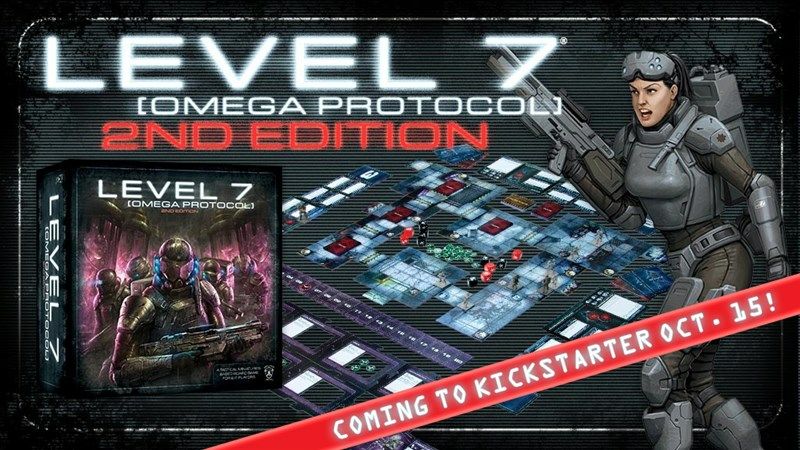 Privateer Press has announced that it will soon launch a Kickstarter campaign based on player-demand for a second edition of its popular out-of-print game LEVEL 7 [OMEGA PROTOCOL]. OMEGA PROTOCOL is a tactical miniatures-based board game for 2-6 players set in a secret government facility that has been overrun by an alien menace that threatens the existence of all humanity. The Kickstarter campaign for the new edition will give backers the opportunity to acquire not only the updated game but also bonus contents and even a copy of the game’s sequel, EXTREME PREJUDICE. The campaign will launch October 15 and run through October 31. Privateer Press expects to ship the game and its bonus contents in June 2019. Bonus contents will include a brand-new miniature, new game cards, new room tiles, and more. Backers who already own a copy of the original OMEGA PROTOCOL will be able to acquire these bonus contents as a separate tier while backers who are first-time players will be able to acquire the second edition of the game as well as the bonus contents in a different tier.